Management felt it was only five fields and that should not be any issue. Users promptly replied that five fields on an average of three projects a week for five weeks, was 75 fields. Coupled with opening a new form, finding the project repeatedly, and having several clicks on the calendar, copying and pasting the description repeatedly, and everything else ended up being tedious and mundane. Like we showed above, in any normal system the user would have to go through and manually create a record for each week one record at a time. With CRM we have a bevy of options. Before I was asked to help out in this situation, a temporary workaround was to create work plans from the project record. This defaulted the project value in the work plan and was seen as a step in the right direction. Although this helped, the users still felt the pain of the redundancy. After discussing various solutions, we landed on creating a process dialog. To use the new dialog, the users would launch the dialog from the desired project (shown in the list view, from the entity, or from their custom dashboard). In the end, this creates all of the various records needed and has been seen as a major time saver. Processes allow you to default values, like the Short Description with the project’s name. We also modified this a bit to allow for managers to create other people’s work plans (where applicable) by adding the Owner to the dialog. To fully take advantage of this, we also created some auto-reminders to alert people of their work plans not being up-to-date and with a monthly email. The email contains summary data of their plans along with a link to instructions on creating work plans with this new functionality. We actively engaged with users to make sure we’re finding and resolving any nagging issues. 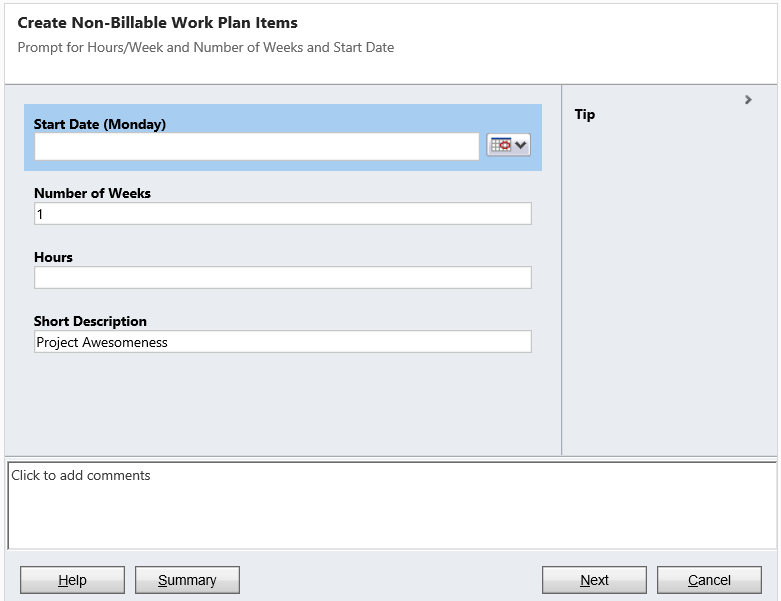 One sore point came about concerning work plans and we created an easy-to-use process dialog to create multiple work plans in minimal steps. 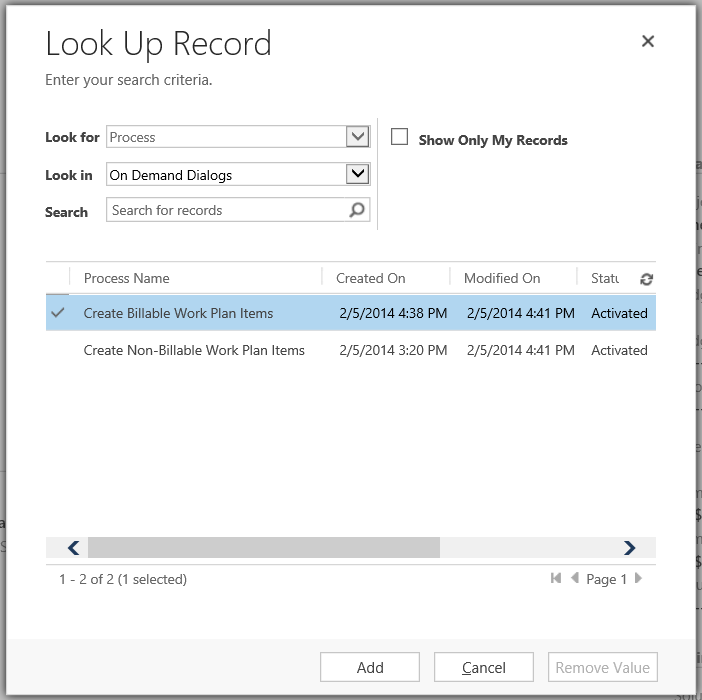 All of this was native to CRM 2013 and the platform tools provided. Processes within CRM 2013 are not the perfect solution for every problem, but they are a great tool that you should certainly understand. If you’ve used process dialogs in the past for solving issues, let everyone know in the comments below.